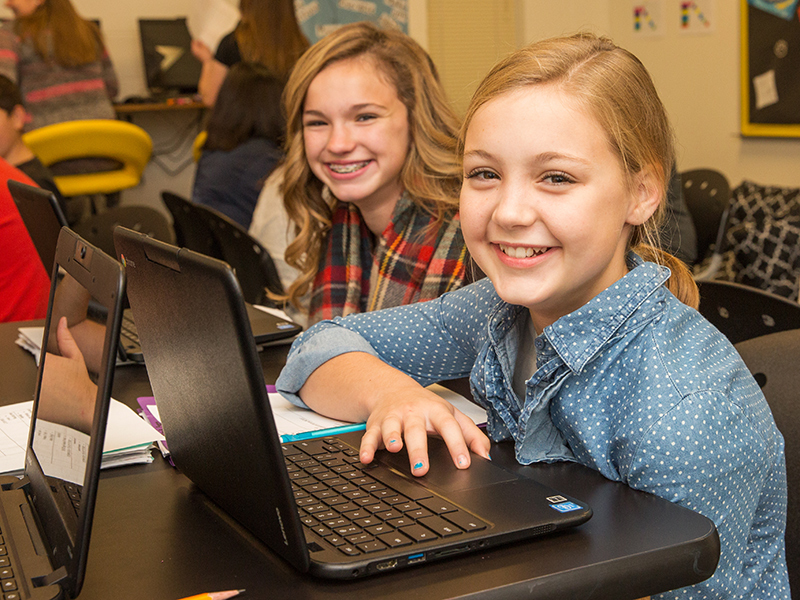 Goal-setting is a core component of Cisco Junior High School’s blended and personalized approach, providing students with more transparency and ownership of their learning. Goal-setting is a common routine throughout Cisco, creating intentional opportunities for students to reflect on their learning data, although the frequency may vary by classroom (e.g. weekly goals, unit goals, etc.). Goal-setting also has a metacognitive component, helping students understand what they know and don’t know. Students will often leverage data to set goals. They may reference MAP data, progress from their playlists, or results from a pretest or posttest to determine an upcoming goal. For example, a student might review their posttest, determine they don’t feel comfortable with a skill that they got right, and create a goal centered on improving their understanding of that skill. 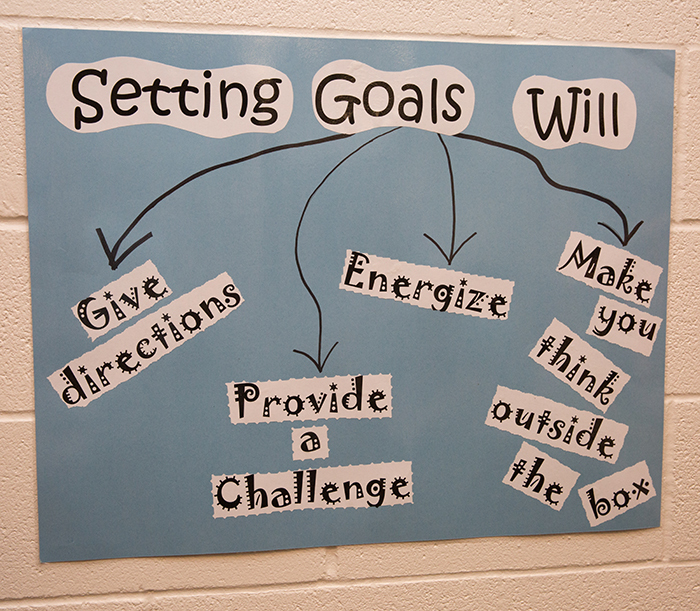 SMART goals are frequently used as a goal-setting tool for students goals, although they are not the only type of goal used within the school. Teachers support students in their goal-setting as well. Teachers frequently check in with students through small group interactions, and occasionally individually, to review progress on student goals. If the student has not yet accomplished the goal, then they discuss why and what can be changed to help them succeed. Teachers will also review student data in case there are skills or targeted areas they want to suggest as a goal for a student. Goal-setting check-ins have the benefit of creating additional opportunities to build the relationship between the student and teacher. Sets goals based on their learning needs. Monitors progress towards meeting goals. Shares goals and progress with teacher. Sets new goals after completing current goals. Helps students develop goals relevant to their learning needs. Supports students in attaining their goals. Provides progress data (MAP, etc.) that students and teachers can use to identify goals. Provides content and learning activities as possible goals.